Before we get to the blooms, let’s talk about my current little obsession … bottle brushes. I will never know why it has taken me this long to buy a set of bottle brushes but it did. Since I have a thing about glass, and glass comes to me from a variety of places, I am always removing labels and cleaning bottles and jars. These new brushes have simply changed my life — for the better. #happydance #iloveglass You can find more about my obsession with glass here. There’s plenty blooming in the garden although not too many roses as I trimmed them back to discourage the Japanese Beetles. It has worked, they are fewer in number at this time. Perhaps there is another reason for fewer of them in the garden since Mr. G found and hung the Japanese Beetle Traps — one of his obsessions. Once the beetles were here, the traps few off the shelves. Note to: Tell Santa about Mr. G’s obsession with Japanese Beetle traps. #stockingstuffer I know there are conflicting reports and thoughts on the beetle traps BUT, I live with and love Mr. G and we go with his thoughts on this one — he has done plenty of research. And puts them way out to the edge of our property! One hydrangea is threatening to block my way into the potting shed. I don’t mind at all, it is a beautiful welcome! Little Limes framing our entrance. Sally Holmes and her neighbors. I never tire of the lovely blooms on Ping Lim’s Music Box from the Easy Elegance Collection. Comte de Chambord and neighbors – over the top pink! LOVE! Oh I love this rose — Flamingo Rosita!! Not sure what this Zinnia is reaching for but I love this color. The Fawn is staying under the radar and the Japanese Beetles aren’t finding her. Common Phlox An over achiever — beautiful but I have to keep my eyes on this one. Cost for the public to attend the educational sessions is $10. We have some of the best of the best speakers coming from around the country and these sessions have been approved for Master Gardener Educational Credit. Click here to see the list of speakers! We would love to see you there! I guarantee you will have fun, learn a ton and see some of the prettiest roses on the planet!! There is even a lunch option too! ALL THE DETAILS HERE! HOPE TO SEE YOU THERE! Send me any questions you might have! This week it has officially started for me and I don’t even want to sleep. Now if the weatherman would just get the memo and bring us more sun! Don’t you agree weekends should always be sunny! Today I want to tell you about two organizations that have contributed to my joy of growing roses and most definitely to my knowledge! Through the American Rose Society (ARS), I have rose friends from all over the country that enrich my rose hobby. 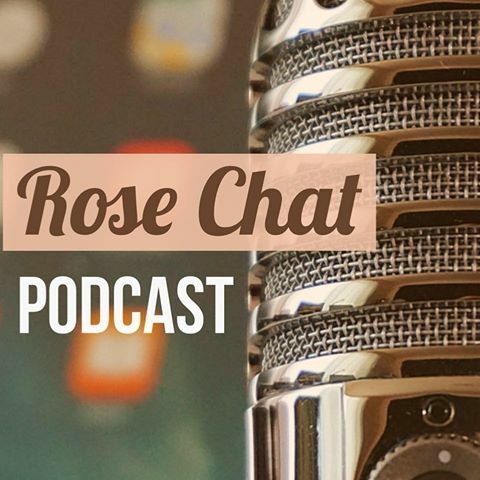 This society exists to promote the culture and appreciation of the rose, through education and research to members, to local rose societies and their members and to the public. SIGN UP TODAY! For the trial membership or a yearly membership, complete the online form or call 800-637-6534. I serve as 1st Vice President and Chairman for website and social media. Check out our website at IndianapolisRoseSociety.com and join us on Twitter, Facebook and Instagram. Our 2017 year started off with a bang in March, as Dr. Mark Windham gave a program on getting our gardens off to a good start and gave us the latest on his research with Rose Rosette. You can keep up with what’s going on by subscribing to our blog at INDIANAPOLISROSESOCIETY.COM. Most of our meetings are the second Tuesday of the month at 6:30 pm at the Sullivan Munce Center in charming Zionsville. HERE’S WHAT’S COMING UP FOR 2017. The program will be on Fertilizers and Soil Amendments, presented by our panel of experts, John Hefner, Mark Nolen and Humberto DeLuca. What kind? How often? Organic? Inorganic? Too much? Too Little? Bring all your questions! This panel will have the answers! 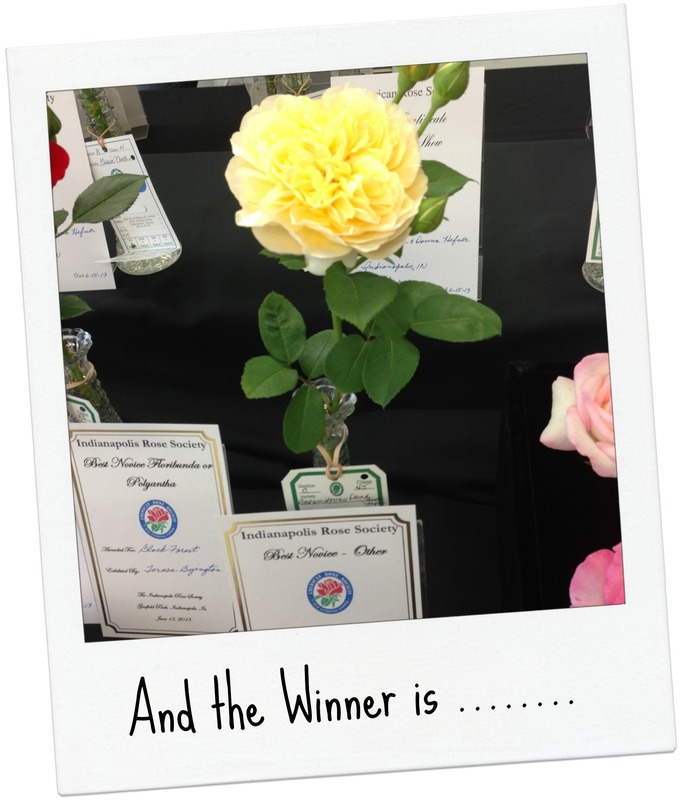 NOTE: The rose in the graphic above is the award winning Easy Does It. This is a picture my daughter took from her garden! I don’t know if this rose will be available locally, but it is available online from Edmunds Roses here. This rose is a rich, radiant yellow David Austin English Rose with a strong tea fragrance. If you want to grow this rose, know that he is very hardy and is sometimes grown as a climber so give him some room or be prepared to keep him trimmed. 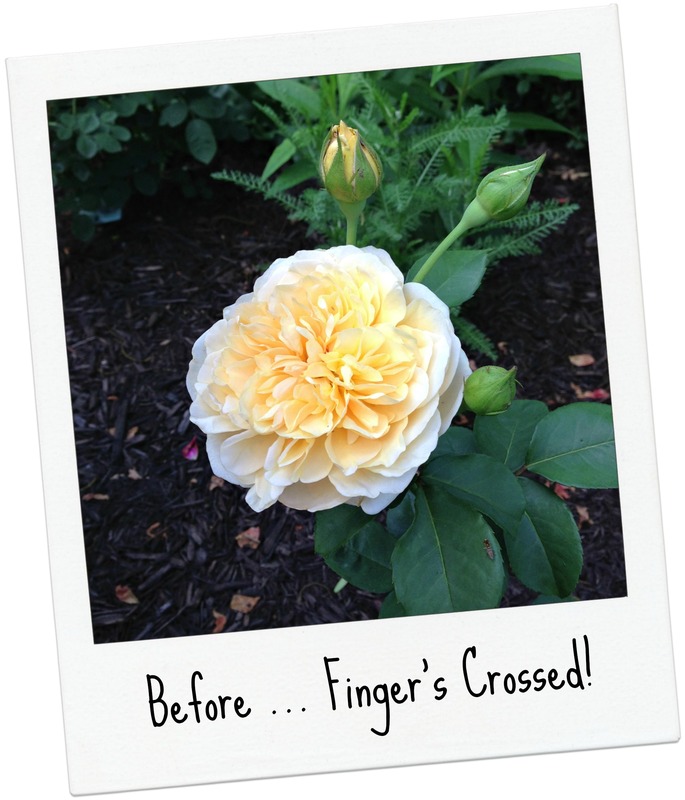 For more details on this lovely shrub rose … read on. This rose was named for Graham Stuart Thomas an English horticulturalist, garden designer, rosarian extraordinaire and one of the most influential gardeners of the 20th century. He actually chose this rose to be named for him. Another fun fact about Graham Stuart Thomas — he was was mentored by none other than Gertrude Jekyll. He was starting his career as she was finishing hers so it was a match made in heaven. 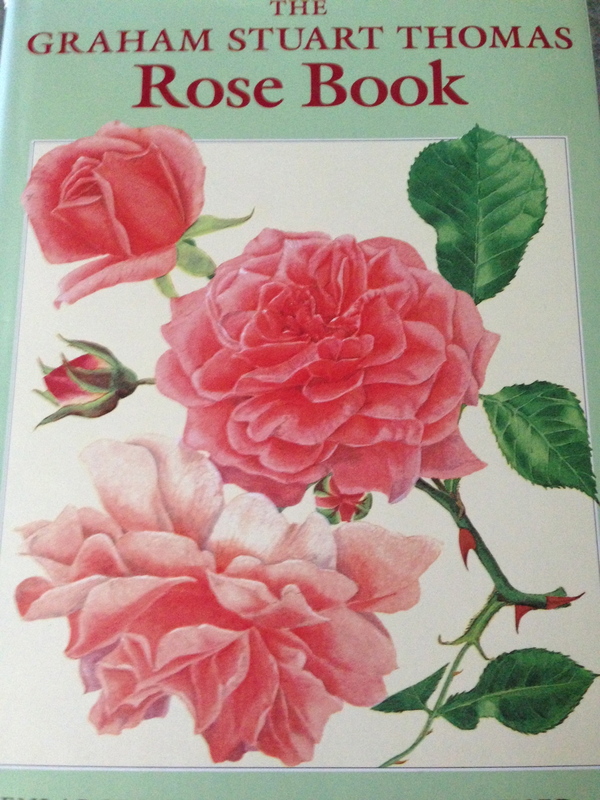 His book, The Graham Stuart Thomas Rose Book, is a comprehensive reference on roses –especially historical roses. I was in the company of greatness…. Look at all this beauty! 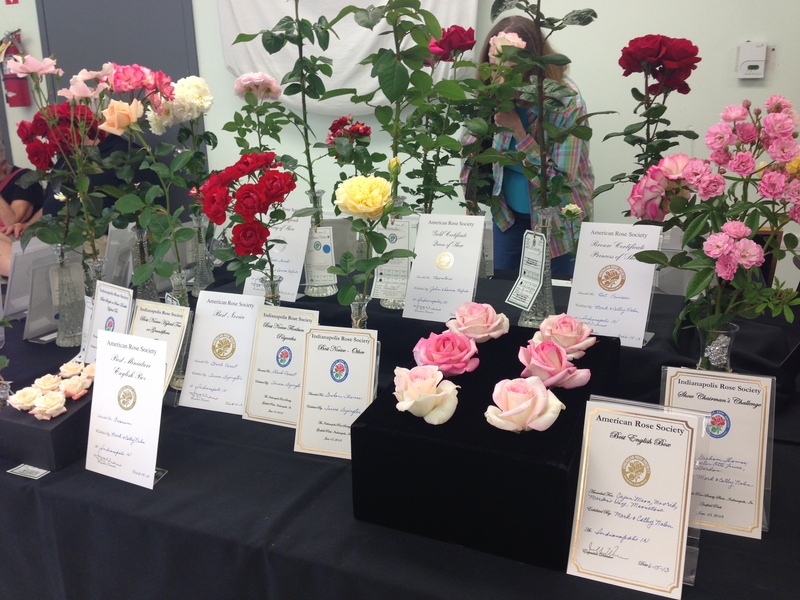 Our rose society is filled with wonderfully talented rosarians!